Do do that Voodoo that you do. 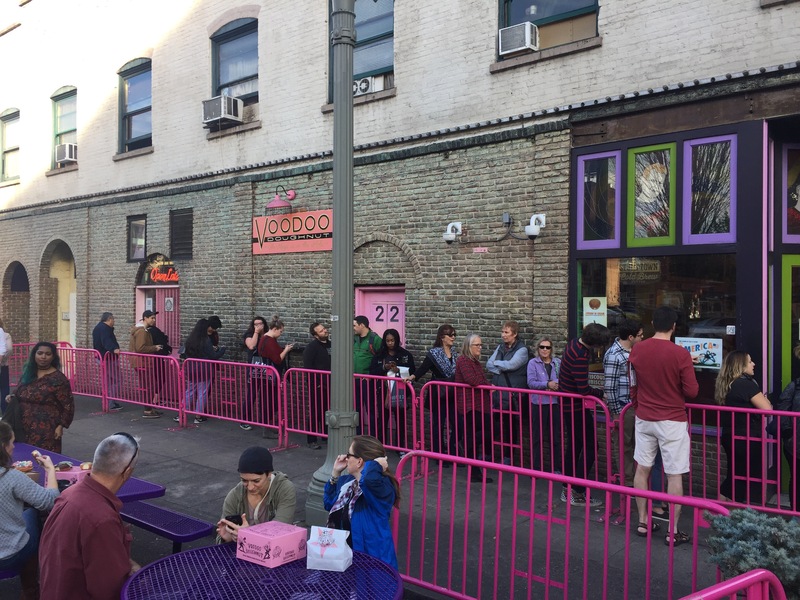 Apparently mid afternoon on a weekday before 3pm is the perfect time to slip into this Portland culinary landmark, Voodoo Doughnuts. I had heard horror stories about hours-long lines. I slipped inside with only 20 people ahead of me. But by the time I walked out at 3:20, the lines started wrapping outside. The selections are impressive. 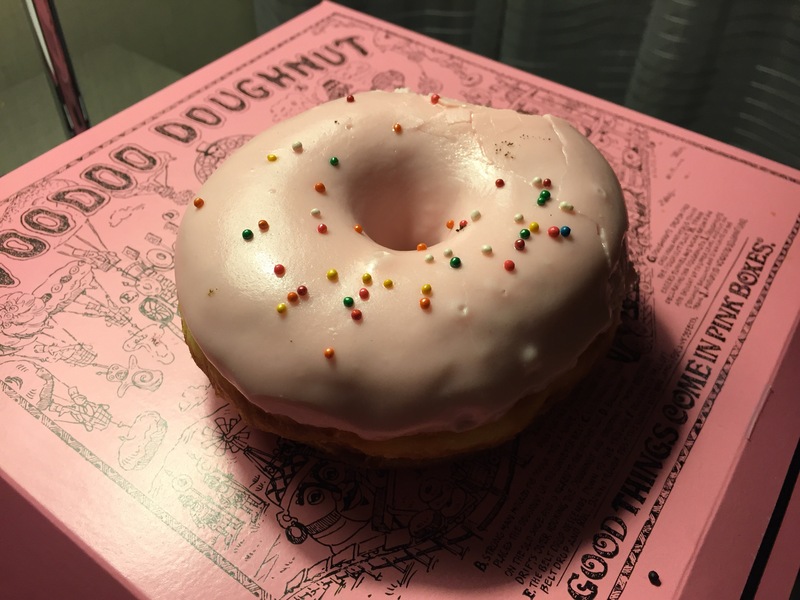 With over 200 donut flavors, the owners are constantly swapping them about and adding unique new options. I didn’t know where to start, but since I’m traveling with the wife and a friend, we can get several to share and try more varieties. So let’s dive in. 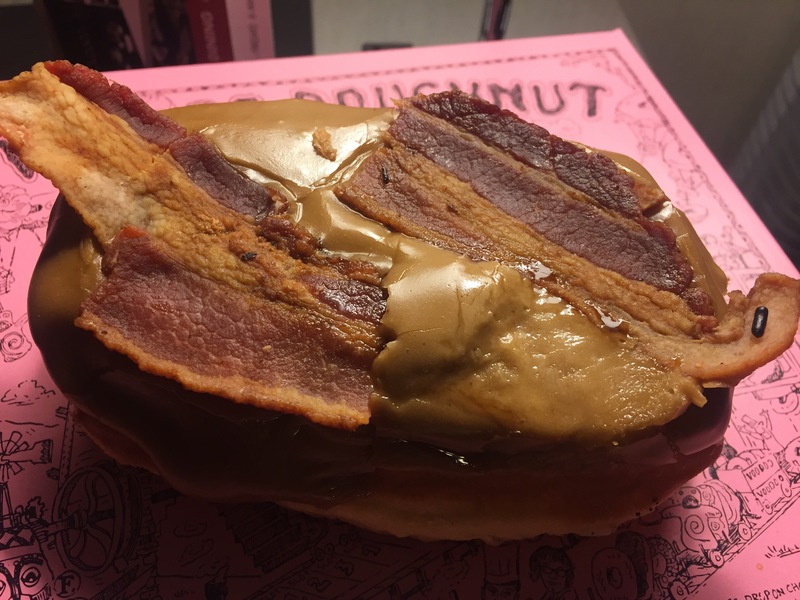 First we have a bacon maple bar. The cake is thankfully unsweetened, and the bar on the small side, both of which help balance what can usually be an overly sweet donut. The cake was slightly tangy, perhaps partially fermented like sourdough? The glaze was clearly made from real maple and not some medicinal artificial flavoring. The bacon, while nowhere near the best bacon, was perfectly cooked so that it had a chewy crumble texture without being burnt. 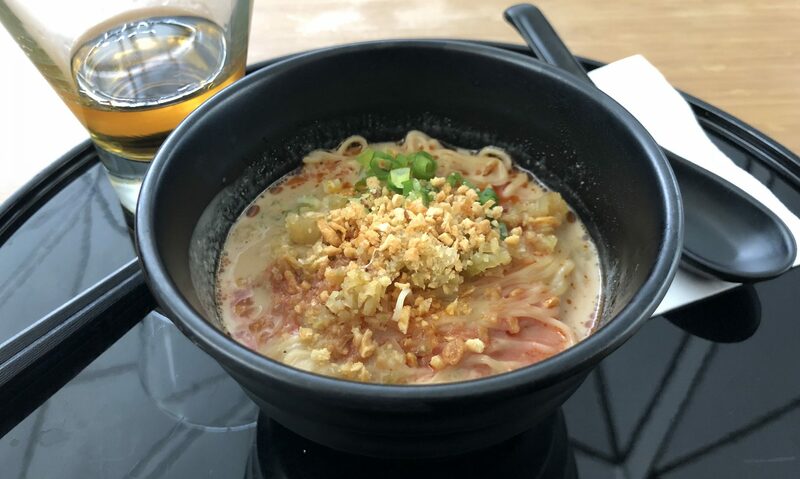 How often have you eaten something with bacon that resulted in the entire strip pulling off when you took a bite? Not here. 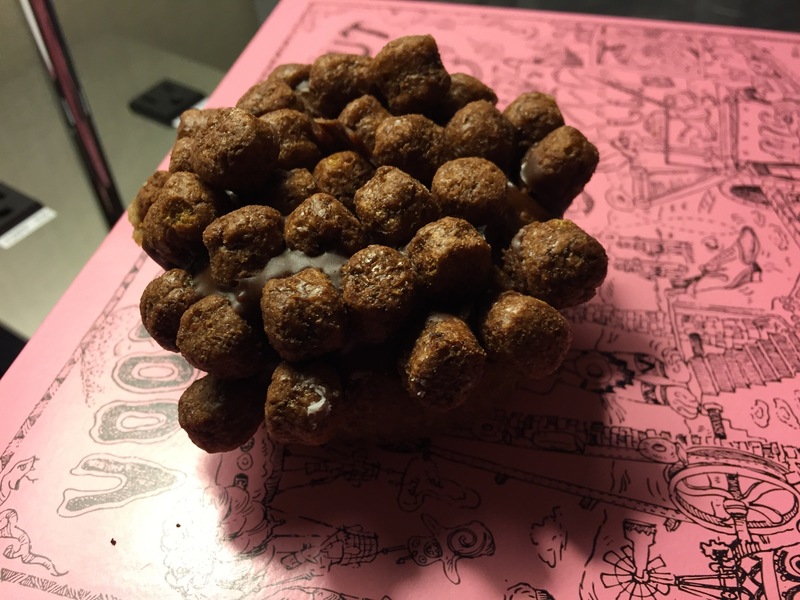 Go coocoo for Cocoa Puffs? Don’t mind if I do! Chocolate cake with chocolate glaze and chocolate cereal. 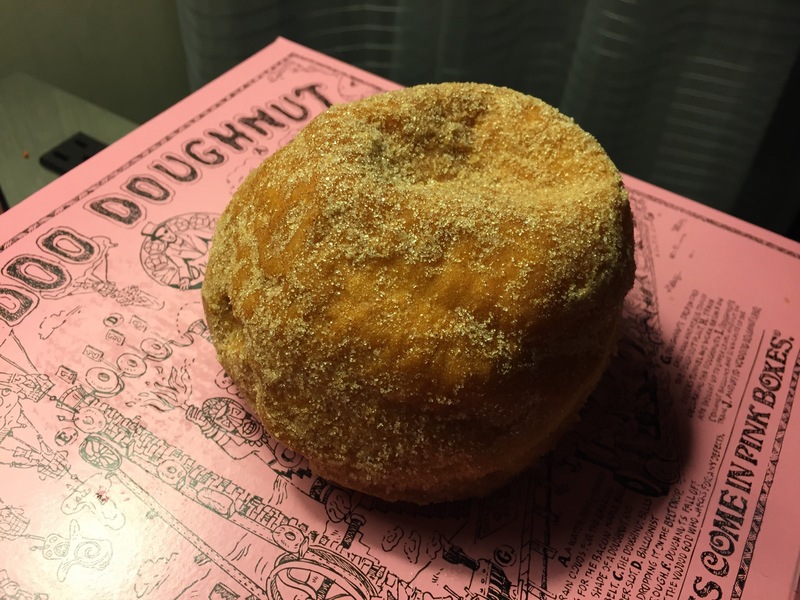 This next one looks like an ordinary sugar donut, but it’s not. That’s actually a cinnamon and brown sugar dusting. And inside? Pumpkin cream filling with all the spice and goodness of pumpkin pie. After that we have a bowl of kids cereal. 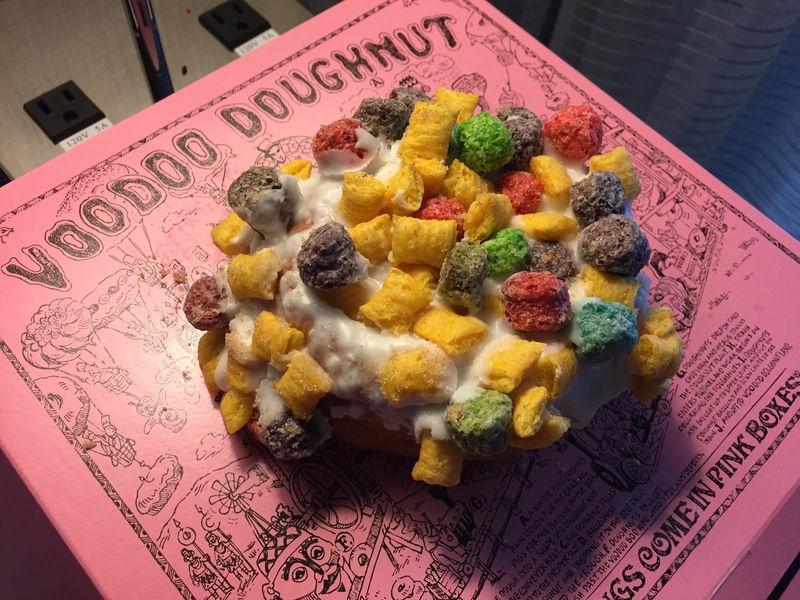 A plain donut with a milk-white frosting is topped with Trix and Captain Crunch. 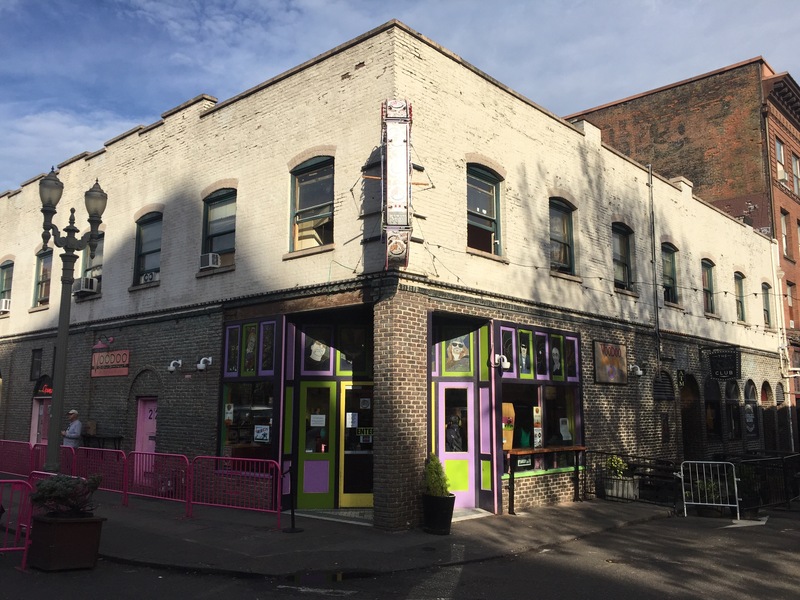 While it looks fun, it’s just a mess of sugar, and in the Portland humidity, the cereal gets stale fast. I guess that might be a good thing though, since it means the Captain Crunch can’t fill its reputation for ripping up the roof of your mouth. Im sure this one is popular on Saturday mornings. 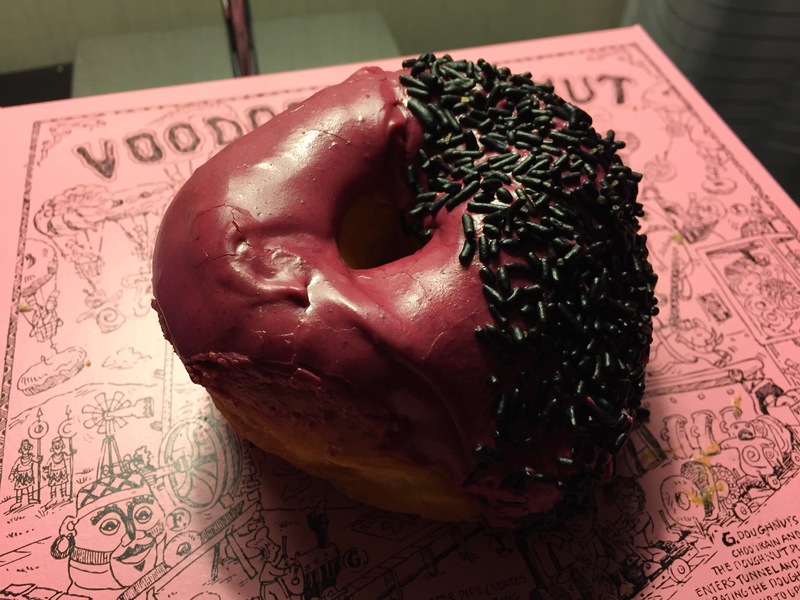 Viscous Hibiscus is a simple donut with a sweet and tangy hibiscus glaze and chocolate sprinkles. And finally my last selection. 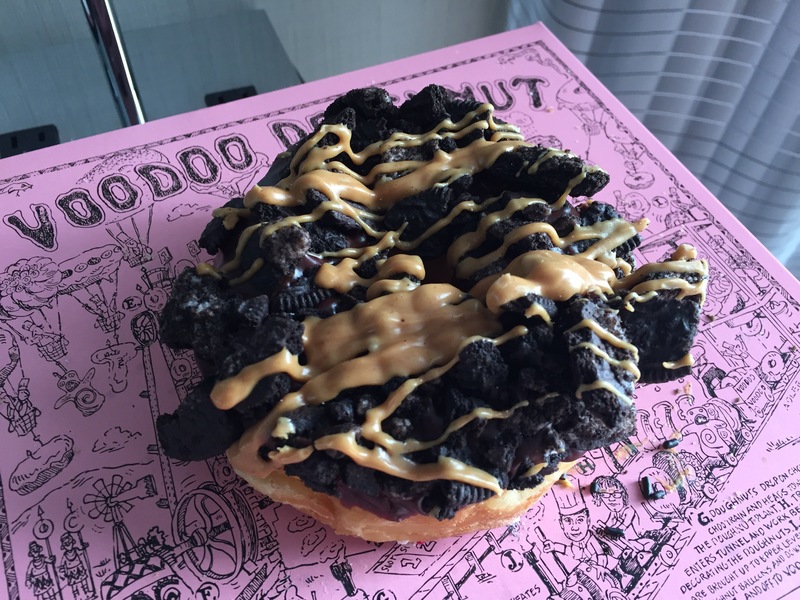 Same donut base, but topped with Oreo cookies and a peanut butter glaze. This one is probably my favorite, but after the barrage of donuts before it, I’m almost tapped-out. I wish I had started here.